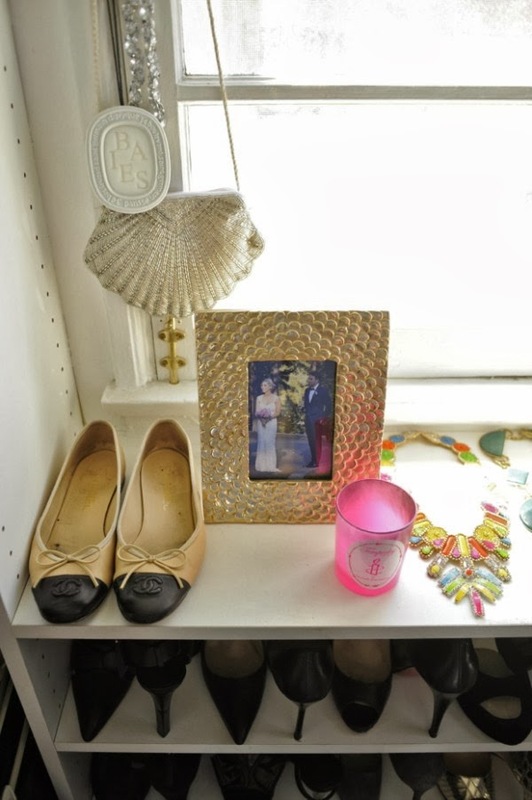 I used to think that shoes were strictly for inside your closet, tucked away in boxes and totes and bins. When I was growing up, my mom stressed that everything had its place, so she wasn't always on board with my room-decorating shenanigans ideas. I can't tell you how many times I would move my room around in any given month - that's when my love of beautifully decorated (and unique) rooms flourished. 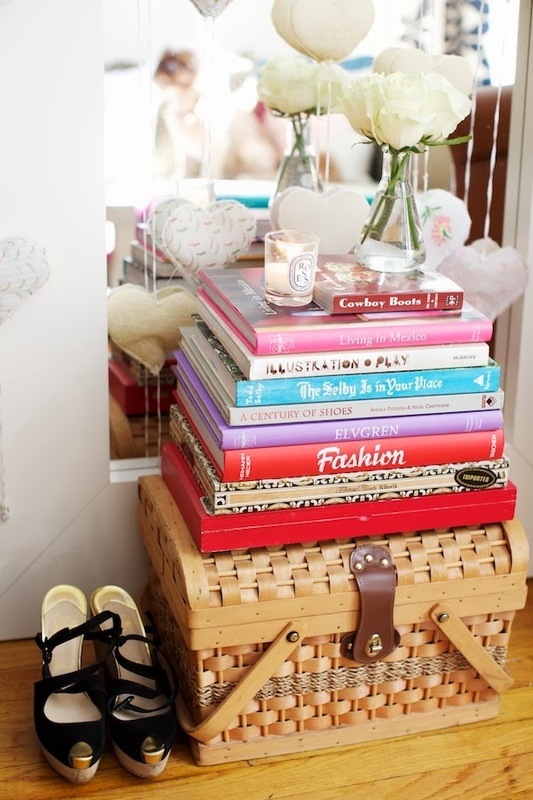 I would obsess over making my room look like the ones featured in a Seventeen or Cosmo Girl article. As I grew out of teen magazines into more sophisticated reads, my interior taste shifted, as well. 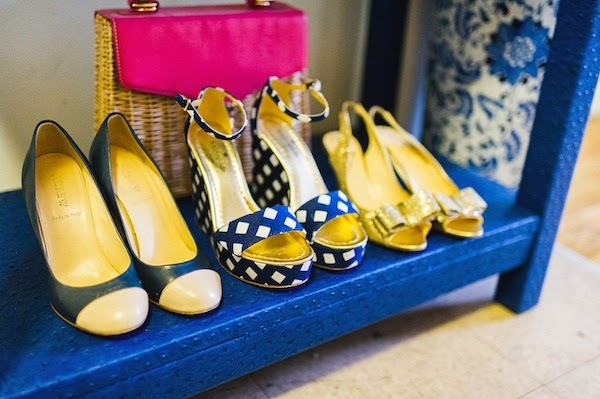 One thing I've always held onto, though, is my love of decorating with shoes. Putting them on display - on a shelf, on a desk, on top of a stack of books - there's something about making shoes a part of your decor that says I love being a girl. . . I totally have shoes displayed on my bookshelf. They are pieces of art... No need to hide them in the depths of your closet. These images make me want to redecorate my room! love this! such awesome inspo! So cute! Now if only I could convince the fiancé that this is a good decorating decision!